The deadline for filing 2014/15 self assessment tax returns was 31 October 2015 for paper returns and 31 January 2016 for returns filed online. If you’ve been asked to complete a tax return for 2014/15 and haven’t filed it yet, you should have been issued with an automatic, initial penalty of £100. After a three month delay, the penalties really start to spiral. My tax return is late, what should I do? HMRC are unlikely to withdraw a return if you have been self-employed at any time during the tax year – even if it was only for a very short time. You usually have only two years from the end of the tax year for which the return is due, in which to ask for a return to be withdrawn. If you’ve filed your 2014/15 tax return after 31 January 2016 you should expect to receive a late filing penalty imminently. 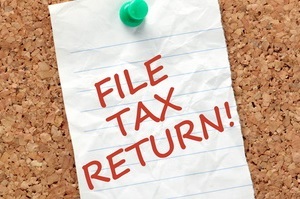 If you have a good reason for the delay in filing your return, you may appeal against the penalty. Last year HMRC announced that it would be fairer on those with genuine excuses because its is focusing on larger, deliberate tax evaders rather than ordinary people. This remains the case, but the excuse must be genuine and evidence may need to be presented. This year, HMRC said it will also be accepting reasonable excuses up front before the deadline to avoid penalties after the deadline. Those affected by flooding at their premises, or their agents’ premises, will not be asked to pay a penalty if their return is submitted without unreasonable delay. The department has also opened a Tax Helpline to give practical help and advice to people affected by severe weather and flooding – 0800 904 7900. Any tax liability for 2014/15 was due by 31 January 2016. If it was not paid within 30 days of the deadline, late payment penalties will start to accrue. But provided you fill in the relevant section of your Reasonable Excuse claim, these could be covered also. What's unlikely to be reasonable excuse? If you’d like any assistance with preparing your tax return, your local TaxAssist Accountant would be happy to help. We can make sure that all the expenses you’re entitled to recover and any allowances available to you are fully utilised. It gives you peace of mind that your return is correct and that you’re paying the right amount of tax - and not a penny more!